My next trip to Ireland is looming ever closer with each passing day. While I’ve been to Dublin (specifically) over 5 times now, the family that’s traveling with me on this trip either have never been to Ireland, or the last time they visited was in 2004. As that is so, and I can’t be there to help every step of the way, I’ve created the following guide regarding public transportation in Dublin to help anyone who is new to the area and trying to understand how to use the different modes of transportation available within the city. There is one main bus system for travel within Dublin and that is the Dublin Bus. They can’t be missed as they are blue and yellow double-decker buses that you will see winding up and down the skinny Dublin streets. 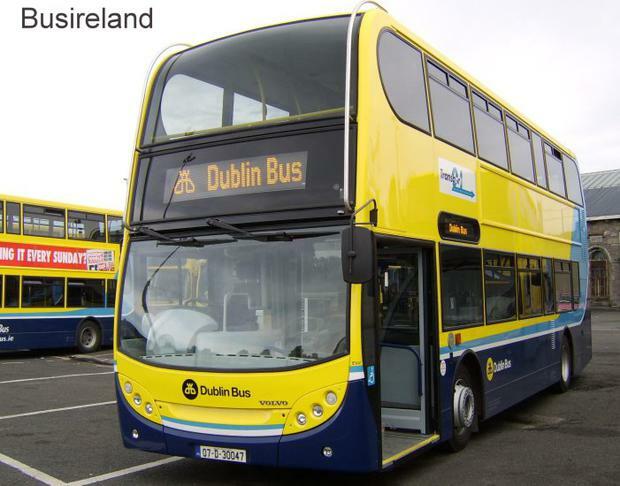 For travel to other cities within Ireland there are several different inter-city buses one can take from different stops within Dublin. To find out specifics on timetables and the buses you can take either use Google Maps, or the Expressway website. The Dart is a commuter train that runs North and South of Dublin. The two main stations in the city center are Tara Street Station and Connoly Rail Station. Timetables can be found here. For trains to other cities within Ireland, you can either leave from Heuston Station or Tara/Connoly. Check out the Irish Rail website for more details. The Luas is an above ground subway that runs through parts of Dublin. Maps for the Luas can be found here. Where to buy the tickets? Leap Cards can be purchased inside almost all SPAR stores. 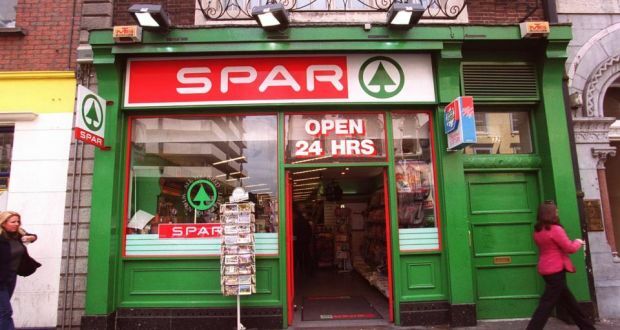 There is a SPAR store just outside the Arrivals gate, inside the Dublin Airport, and can be found around the city itself. Tickets must be purchased from the counter, and can be reloaded at SPAR stores as well. Dublin Bus, 59 Upper O’Connell St. Discover Ireland Centre, 14 Upper O’Connell St.
Visit Dublin Centre, 25 Suffolk St.
How to Use the Leap Card? The protocol for using a Leap Card is different for each mode of public transport. For the Luas, one must validate their leap card outside of the tram before entering. For Dublin Buses, when you walk onto the bus bypass the driver/pay station and scan your leap card over the yellow electronic pad to the right. It will be attached to a pole and will blink green when your card has been accepted. Move on after it dings. If it goes red, try again. For the DART system (ie. the Commuter trains), you will need to insert the leap card into one the entrance station before entering the platforms of the train station. If you have trouble inserting your card there are attendants on standby to assist you. If you don’t purchase a leap card then you must pay for a separate ticket for each mode of transportation you use. Commuter tickets can be purchased at the station for all commuter trains. Bus fares depend on the journey and must be paid in as small of coinage as possible upon entering the bus, and luas tickets can be purchased from machines at each stop. And that’s it, pretty simple, right? I hope this guide helps to answer some of the questions you have about public transport in Dublin. If you have any other recommendations or questions about public transportation in Dublin, feel free to comment down below! What is your preferred way to get around Dublin/Ireland? Do you use Leap Cards? Is there anything I missed? Let me know in the comments below! Thank you to everyone that’s been liking/commenting/following this blog. I hope you’re enjoying all the pre-Ireland trip content. I can’t wait to write about my upcoming trip…I’m sure it will be interesting. If you want to stay up to date with my travels make sure to follow me on twitter and Instagram @LittleSliceofBri. Have a safe trip to Dublin and have a wicked good time. It seems like you love visiting Dublin as much as I like visiting Boston , Baltimore and Las Vegas . Thanks for the information on the transportation in Dublin. I love taking public transportation no matter where I go. Thanks so much! I do love visiting Dublin, it feels like home. And I have to agree public transportation is something I love taking as well. Not only is it good for the environment but it also means I don’t have to worry about driving myself everywhere and can enjoy the trip.